Do you have a great sports tech startup idea but don’t quite know how to turn it into reality? SportUp is a Flemish (Belgian) sport startup accelerator and community with the mission to help sports tech entrepreneurs go from an idea to a successful and internationally scalable business. Every year, SportUp selects and supports over 10 sport startups in their progress towards starting a successful business. Apply now and show our experts what you’ve got. is the place to be for inspiration, information and networking. offers support focusing on product-market fit and direct networking, for early-stage startups with an initial business model idea. is the imec.istart track focusing on sports tech. It offers support and a first investment for startups with a proof of concept and international ambitions. In February 2018, imec.istart was ranked fourth in the World's Top Business Accelerators – Linked to University, making this program the best ranked European accelerator. SportUp is the result of a strong collaboration between Victoris-Ghent University and imec.istart, with the support of Sport Vlaanderen. Are you working on scalable digital technology with a practical application in sports (health, performance, media)? Then, SportUp is the place to be. This project brings together the partners with relevant sport and business experience. By sharing knowledge and by providing a network of possible partners, clients, etc., more startups will be able to change our growing sports sector. "The imec.istart program was a tipping point for our startup. During one year and thanks to their funding, several workshops and an entrepreneur in residence we were able to grow our sales and turn survival mode into growth mode." "Imec has an exceptional acceleration program. It performs really well on our global benchmark, especially on access to funds and post-incubation performance indicators." Are you interested in sports and technology? Do you want to learn what it takes to be an entrepreneur? Are you looking for information, inspiration and networking? Are you a tech entrepreneur focusing on innovation in the domain of sport and physical activity (health, performance, media)? Is your idea relevant for Flanders? Is your idea feasible, innovative, scalable and sustainable? Do you have an initial business model idea? Discover the SportUp Boost program! Are you in a team of entrepreneurs focusing on sportstech? Does your solution integrate innovative technology? Do you have a working proof of concept? Discover the SportUp Start program! Apply now and your name may join our wall of fame. LedsReact´s first product ‘Direction’ is a smart sports cone to get your team to the next level. It indicates a direction by lighting up one of the 4 colored LED’s. As such, hundreds of exercises can be provided to every athlete. Fan Arena enriches fan journeys by developing and connecting apps. Chatbots, Fantasy Sports, mobile apps, marketing automation and automated content. Professional aerodynamics made easy. Online tool for engineers and designers. Test and improve on aerodynamic efficiency of 3D models. Analyze drag, lift, downforce and noise. Are you interested in SportUp? 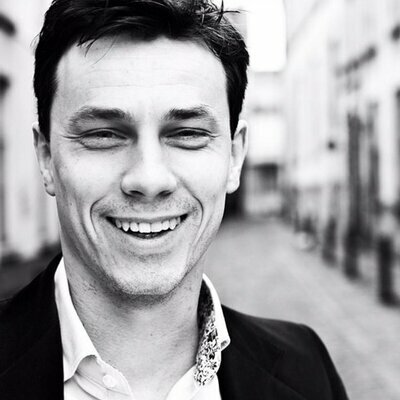 Kristof De Mey, founder and driving force behind SportUp, can help you with all your questions! Fill out our contact form and Kristof will get back to you with all the required information.